Diet pills are often full of ingredients that you can’t pronounce and have never heard of, however recently, supplements containing “natural” ingredients like hoodia diet pills have made big waves with dieters. The problem with any supplement is that they are not regulated the same way that medicines are, meaning that you could end up taking a pill that is mostly filler, and not so much hoodia. In fact, some reports have concluded that less than half of all hoodia diet pills claiming to contain this powerful plant, actually do not contain any. The roots of hoodia’s use as an appetite suppressant go back centuries to a time where African Bushmen used it to stave off hunger during long trips. Unlike starving yourself, the plant purportedly provided natural appetite suppression, making longer journeys more feasible. According to them, the plants kept them from being hungry on trips where food was not readily available. 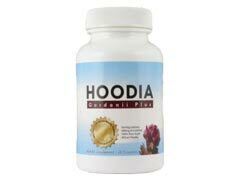 Because of these wondrous claims, the use of Hoodia went from a mere handful of products to hundreds almost overnight. This created not only a tenfold rise in the cost of this plant, but also earned it a protected status in many African countries. Even if you got your hands on some pure hoodia gordonii, there is no scientific evidence that any part of this plant does anything to ward off rumbly tummies. In fact, there is even less evidence to support the theory that supplements containing these ingredients are safe diet pills. The truth is that little research has been done, making every user a potential guinea pig, when it comes to determining hoodia gordonii side effects. However, it’s worth noting that liver damage is a concern throughout the medical community with the use of these products. Hoodia diet pills have not been proven to control appetite at all. In fact, it’s been suggested that the pills could never contain enough of the active ingredient, P57, to curb hunger pains in the first place. However, because of the lack of testing that has been conducted, it’s unclear at this point whether hoodia, or hoodia diet pills are effective at all against hunger. The truth is that taking unproven and untested supplements will probably do little more than leave your wallet lighter and your belly intact. Further, with no thorough side effect studies performed, you could be putting yourself at risk to potential health problems. Marketing ploys may fill your inbox with claim after claim of these wonder supplements, but they’re not worth the kilobites spent on the message.